Venezuela is in its fifth year of recession, prompting the region’s largest-ever migration crisis that has overwhelmed its South American neighbours. 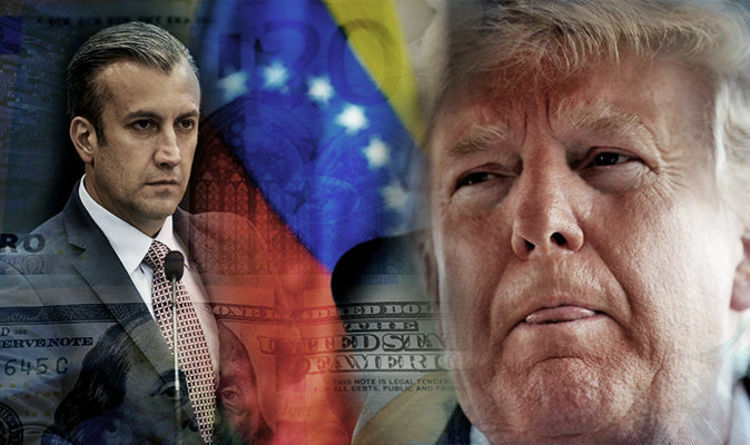 President Donald Trump’s administration last year imposed financial sanctions on Venezuela, affecting the country’s ability to make transfers in US dollars and complete payments through the American banking system. Mr El Aissami said: “Various actors continue to attack our financial system. The Economy Vice President has pledged to see the opening of bank accounts in Europe and Asia to counteract the financial sanctions, while adding that the country would sell around €2 million from oil revenues. Mr El Aissami said: “The illegal measures will continue to damage the national economic system, and this is why we have made these decisions. Venezuela residents have fled the country in their millions over recent years as the nation struggled with hyperinflation, starvation and increasing violence. President Nicolas Maduro frequently accuses the US of seeking to sabotage his administration by sparking an economic crisis. The Trump administration and many Latin American government, however, blame Venezuela’s economic meltdown on reckless money printing, dysfunctional currency controls and poor management by Maduro’s administration. In an attempt to slow crippling hyperinflation, the Venezuelan government slashed five zeros from the Venezuelan bolivar earlier this year. But the move did little to ease economic unrest, with the International Monetary Fund forecasting inflation at 1.4 million percent this year and 10 million percent next year. Venezuela’s annual inflation hit a whopping 488,865 percent in September. US Vice President Mike Pence hit back at Venezuela earlier this month after troops were sent to the Colombian border, a move seen as highly inflammatory by Washington. The US hit back by imposing sanctions on four key members of Venezuela’s government – First Lady Cilia Flores, Vice President Delcy Rodriguez, Communications Minister Jorge Rodriguez and Defense Minister Vladimir Padrino. They Shall Not Grow Old review roundup: What are critics saying about WWI documentary?